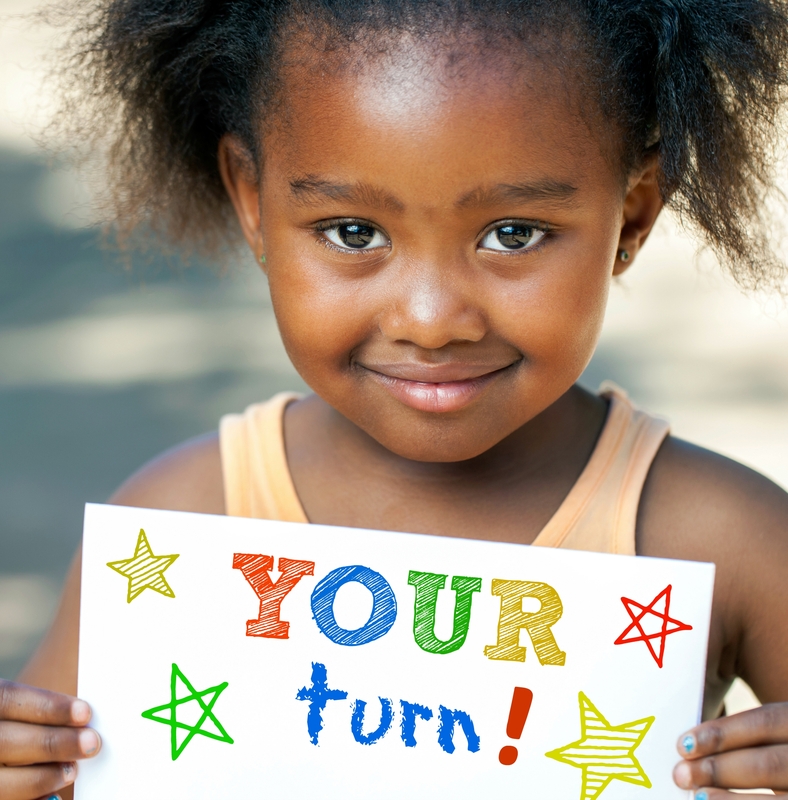 It’s time for a back-to-school YOUR TURN post, where we share a “quote for thought” and ask you to share your best tips and expertise with our readers. Add your comment at the end of this post, and you’re automatically entered for a chance to win a SIGNED copy of the book quoted below! 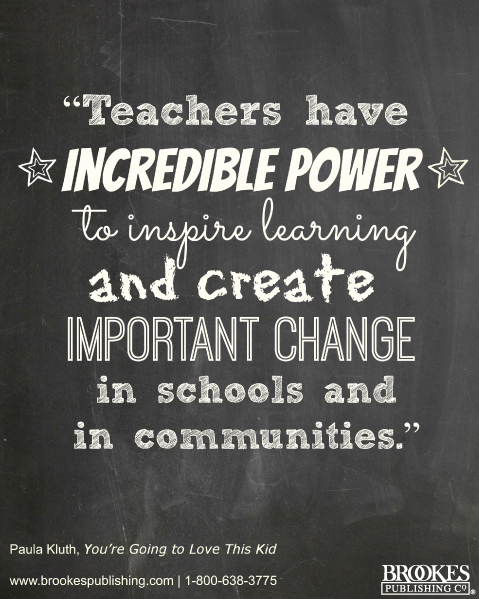 This is a great quote–inspired educators do have incredible power to make big-picture changes happen. But the smaller-scale changes you make in your classroom every year are just as important. Our hat is off to every teacher who tries new classroom management tips, teaching strategies, and room arrangement ideas every year (and shares small successes with other teachers on Pinterest, Twitter and their blogs). Will you share a favorite with us here? What’s the best, most effective change you made in your classroom last year–and what are you excited to try in this new year? It can be a bright idea you snagged from Pinterest, a teaching tip from a book you love, or your own creative solution to a classroom challenge. AND it’s signed by the author, one of today’s top inclusion experts! Add your comment below to enter! Good luck, and tune in next week–I’ll be sharing Julie Causton’s top 11 tips for new inclusive educators and more. 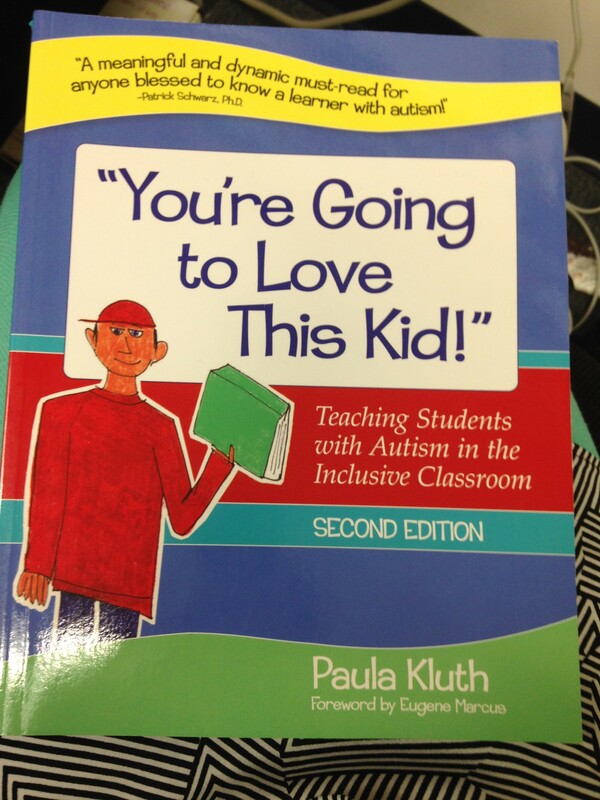 I’m excited to read Kluth’s second edition of You’re Going to Love This Kid! 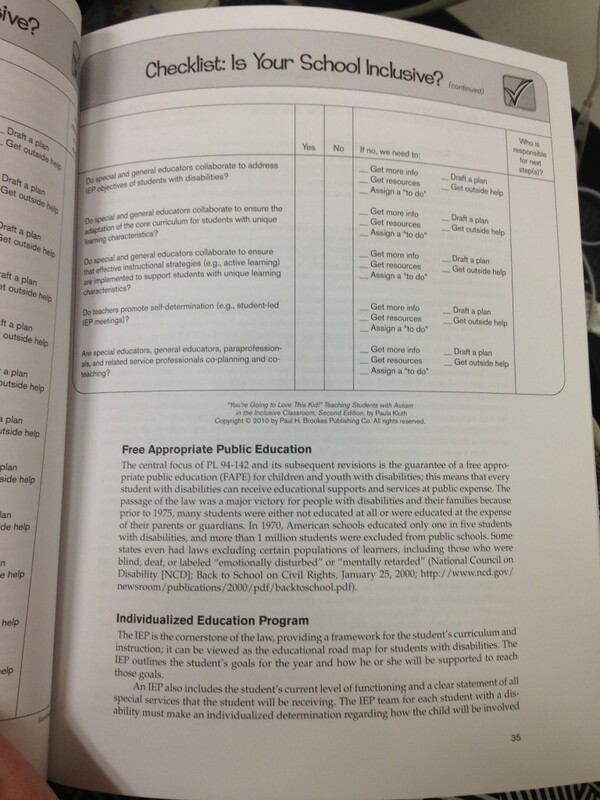 I have the first edition and it is super helpful for teachers at any grade-level. This book looks really good & beneficial. Would be a nice addition to my professional library! !